Over the years, I have been served casseroles and cheesy potatoes and baked pastas with myriad stomach-turning crunchy toppings — everything from those vile canned onion ring things to crushed Ritz crackers and greasy corn flake crumbs — and let me tell you it can get pretty gnarly, which is wholly unnecessary, because crunchy topping is one of the great joys of first-rate home cookin’. 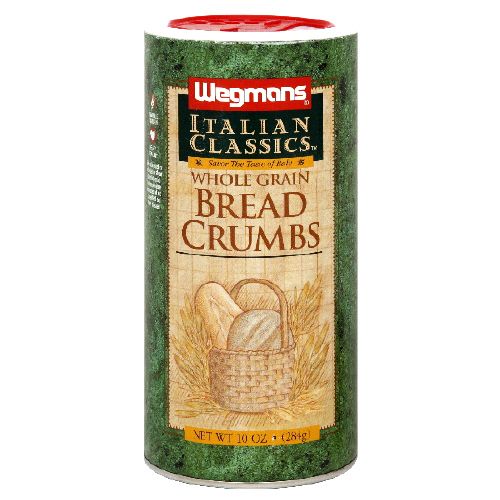 So here’s my recipe for the perfect bread crumb topping. It’s good for everything from mac and cheese to casseroles to snakebite. Well maybe not snakebite, but you take my meaning. To top one average size casserole dish, melt a tablespoon or two of butter (never margarine). Add about ½ cup of breadcrumbs (unflavored, and for you health conscious adults, there are whole wheat ones) and salt and pepper to taste, then mix. You can also add grated cheese or dried herbs if you like. Sprinkle on top and bake uncovered. Foolproof and delicious. Posted on October 24, 2011, in Dinner, The easy way and tagged Bread crumbs. Bookmark the permalink. Leave a comment.